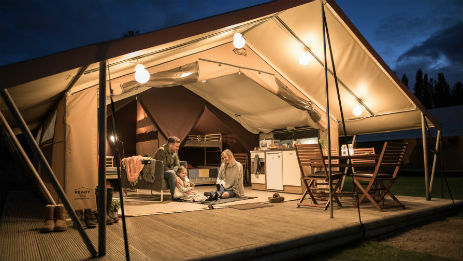 The best in glamping, our safari tents at Sheriff Hutton Ready Camp campsite in Yorkshire offer a wonderful balance between contemporary and outdoor living. 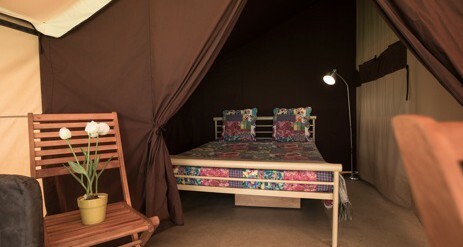 Glamping in Yorkshire will take the strain out of camping with our furnished tents, proper beds, dining area and more. 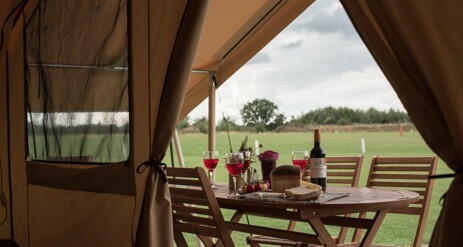 Glamping in Sheriff Hutton places you in a great location between the city, coast and glorious countryside of Yorkshire. 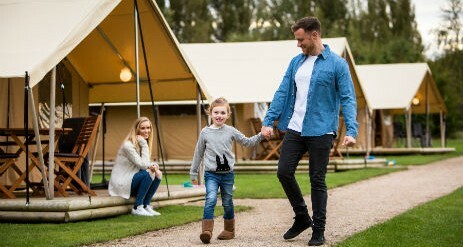 The glamping campsite is within easy reach of York, yet its outskirts location means you won’t miss out on a good nights sleep. York with it’s Roman, Viking and medieval heritage, has long been a city of importance and there is so much to see and do. From the amazing York Minster and the Yorvik Viking Centre to fascinating museums and boat trips on the River Ouse, you will definitely be spoilt for choice. Just a mile from the glamping campsite is the quiet village of Sheriff Hutton which has its own ancient stories. The nine hundred year old church are the ruins of Neville Castle, a medieval 14th century fort which towers over the village today. Sheriff Hutton also has a couple of friendly pubs -perfect for a meal after you have spent the day pounding the streets exploring the wild moorlands. 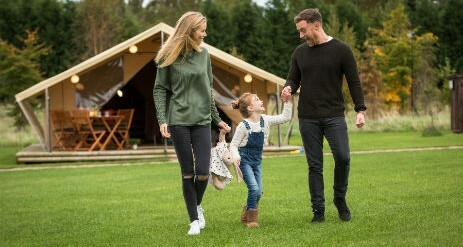 This a quiet campsite with all the mod cons including hot showers, toilets, washing-up facilities, laundry amenities and a spacious family room with a baby change station. 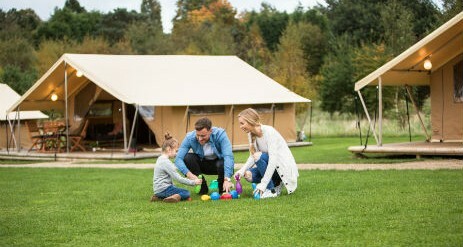 There is also a children’s play area, a small on site shop for essentials and an on-site holiday manager. York places you in a fantastic location from which to explore the countryside and coastline. The wild and wonderful North York Moors are an easy drive offering miles of criss crossing footpaths and cycle routes for a challenge. Flamingo Land at Malton and Monk Park Farm near Thirsk are worth a visit. An hour drive eastwards takes you to the traditional seaside resort of Scarborough with it’s soft golden sands and clean shallow shores. It’s a brilliant spot for some old fashioned family fun with amusement arcades, donkey rides, sandcastles and candyfloss. Further north up and along the coast is Whitby with it’s quaint houses spilling down the hillside and lofty castle ruins looming overhead. A charming corner of England.